Street Giraffe is a term coined by the late Marshall Rosenberg to connote a more colloquial form of Nonviolent Communication. Our free ‘dialogue lab’ tele-practice group (w/ iGiraffe) has an affiliated Street Giraffes blog — which also serves as a cache of heuristic materials for further, self-discovered, self-appropriated exploration. The intention of both the blog and group format is to blend complementary modalities, such as interweaving Focusing & Mindfulness, towards the end of each having an opportunity to carve out their own, individuated path (as an NVC practitioner). What is working about your [NVC/dialogic] practice? What gets in the way of communicating mindfully? 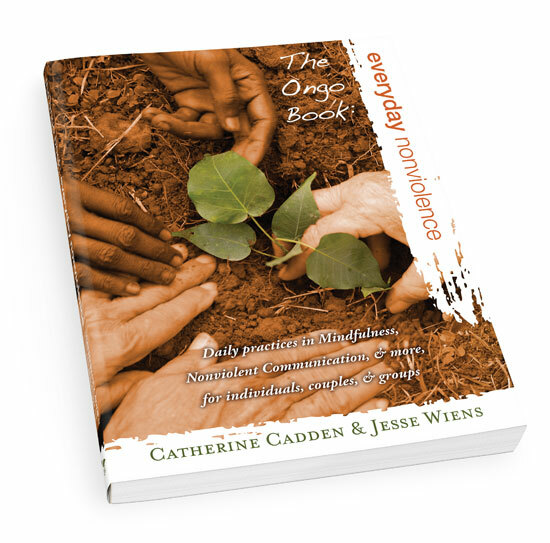 What is your vision for speaking & listening with equanimity/presence? What next step(s) can you take to enhance the quality of connection you seek? Along with facilitating the tele-practice group, and for about the same length of time (since 2011), I’ve been a practitioner of NVC Mediation and would welcome any inquiries as to how it might be supportive to you. 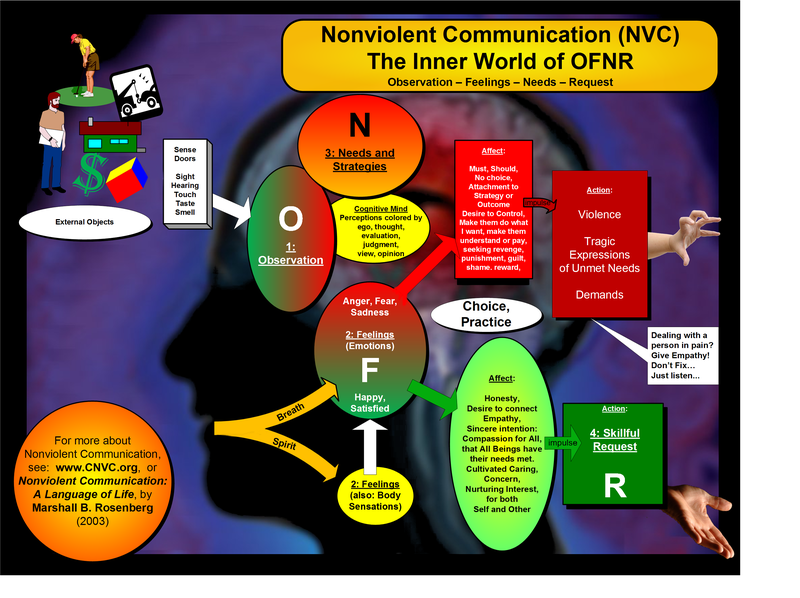 John Kinyon and Ike Lasater pioneered this mediation branch of NVC, something they’ve characterized (on their blog and elsewhere) as learning how to Mediate Your Life, which includes exploration of both internal and external conflicts. The vision of the 3Chairs Project is a critical mass of people around the world working together to respond to the challenges we face, and creating a peaceful, healthy, and sustainable world. Whether you may be interested in learning more through a one-on-one conversation, or possibly even getting a sense of how NVC Mediation works in practice, please feel free to send an email to me so that we might set up a time to speak. Our referrals for mediation &/or mentoring/coaching are logistically feasible through phone/Skype, however you might also find mediators locally through contacting CNVC or Mediate Your Life directly. Lastly, I intend to occasionally write @StDispatches blog entries detailing my own, more idiosyncratic ‘experiments with truth’ — a kind of #MediateOnesLife diary — which will blend my experiences as a street giraffe practitioner with other, more personal-as-political preoccupations. I’ll post a link to the first entry here, shortly.